. . . or why The Wild Hunt doesn’t have a map. Pick up a fantasy book and you’re almost guaranteed to find a map somewhere upon its person: tucked in behind the flyleaf, gorgeously painted on the endpapers (Wheel of Time hardbacks, anyone?) or even as the outer jacket itself, like those splendid Joe Abercrombie ones. The map seems to be an accepted – indeed expected – part of the fantasy furniture. Secondary world = must have a map (con-lang pronunciation guide, glossary and cast of characters optional). Some readers even feel faintly cheated if there isn’t one: a dimension to their immersion is missing. I can completely understand this. Beyond being a visual treat, the map can be useful. In a military fantasy, where battlefield positions and objectives are fundamental to the drama unfolding on the page, it helps to see them laid out. Likewise in books that involve lots of travelling or a desperate race to reach Point X before the bad guys do, it’s fun to follow along on the map. Or maybe the plot revolves around small, peaceful Country Y which shares a border with the vast, acquisitive Evil Empire Z, and the map provides a graphic reminder of the stakes at play. There’s a reason the internet loves infographics so much: a picture really does paint a thousand words. 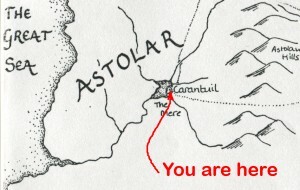 As for me, I love maps, especially old ones. Topographical maps, ancient place names and the roads that connect them, all these pieces of history under our feet – they have a thousand stories in them. Maps are like a seed catalogue for a storyteller and a worldbuilder like me, who’s a ‘gardener’ writer. I found out the other day that the Ordnance Survey people actually make a Map of Roman Britain, and I want a copy just because Maps! Romans! Awesome! So it should be fairly obvious that I also love a good fantasy map. These days I’m not so fussed on the ones that appear geologically unlikely, or have only a few scattered settlements separated by large amounts of empty space in which nothing apparently exists but some plot-significant ruins. I prefer maps that show me a living world, one with navigable rivers and sea-ports for trade, a decent highway system, mixed population densities and variable terrain. A world that looks as though it ought to function reasonably well as a place in its own right, utterly independently of the story. But what if the action in our fantasy story happens largely in one place, or the travelogue parts of the story are covered in summary rather than exhaustive detail? What if, at that point, the rest of the landscape is just *there*, in the background, doing nothing but keeping two oceans apart and stopping the mountains falling on your head? Does the book really need a map then? When Songs of the Earth was about to be published, my editor at the time, Jo Fletcher, asked me if there was a map to accompany it. I explained that I’d drawn one mumblety years ago, before the Great Rewrite of 2004 destroyed the geography of the southern and eastern parts of the Empire [note, not Evil Empire Z above] thus rendering the map horribly inaccurate. Besides, it was a whimsical sketch, not to scale, and unrealistically constrained to fit a sheet of A4 paper as that was all I had at the time. Jo was cool with that, and then she left my publisher to start her own imprint. By the time me and my new editor all got in the groove and the question of maps came up again, it was too late to get one drawn up and in place whilst still keeping to the publishing schedule. Never mind, I thought, we can always do one later. Now here we are, three books down, and there’s still no map. Over the last couple of years, I’ve had to field an increasing number of questions in email, on forums and in interviews why this is so. This post is an attempt to answer them. Short version: it’s my fault. After I decided that the first book didn’t need a map, it wasn’t until much, much later that it dawned on me that the *series as a whole* kinda did. I’d got tunnel vision with Book 2, and of course it was all perfectly clear to me where everything was, so not having a map isn’t that big a deal . . . Yeah. Right. Now I could just say I’m the writer, it was my decision, so tough bananas, you’re stuck with it, but that sounds rather high-handed. The truth is I was concentrating so hard on writing the story that I lost sight of the fact that many readers like to see where said story is actually happening. I forgot that I’ve been noodling around this Empire place for twenty years, and you all only got here five minutes ago. It’s sort of my duty to make sure you don’t get lost on your way to the Plains of Nothing But Plot-Significant Ruins. So, I’m sorry. I hope we can still be friends. 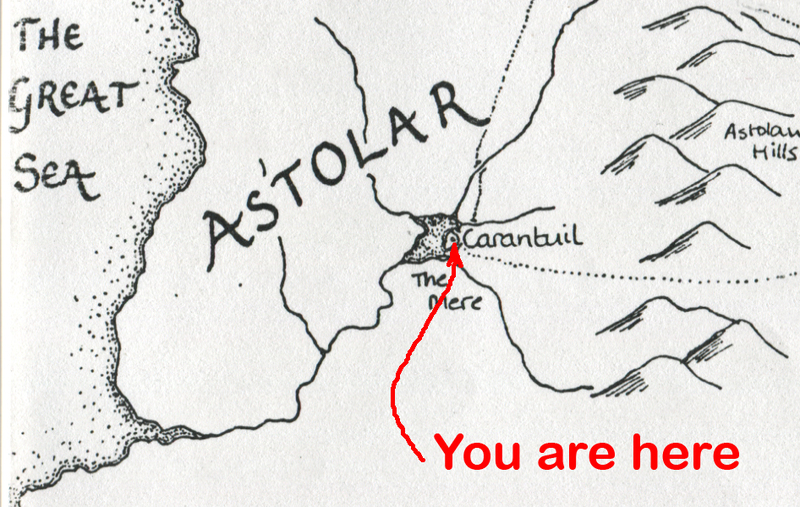 Nothing would please me more than to dust off the old Rotring pen and draw a new map (on a bigger sheet of paper! ), or invest in some mapping software to play with, but I would probably enjoy that far too much. As some of you might have noticed, I am desperately behind on Book 4. THE DRAGON HOUSE has to be my priority just now, or my editor will glare at me, and I really don’t want that. She has range weapons, you know. She can pick me off from *anywhere*. Nonetheless it bothers me that I don’t have a proper map to show you the world in which The Wild Hunt Quartet takes place. It bothers me so much that just as soon as I can, I am going to put some effort into making sure there will be a map (and a pronunciation guide, a gazetteer, a glossary, some deleted scenes and a list of characters) even if I have to make a special website on which to put it. You can hold me to that.